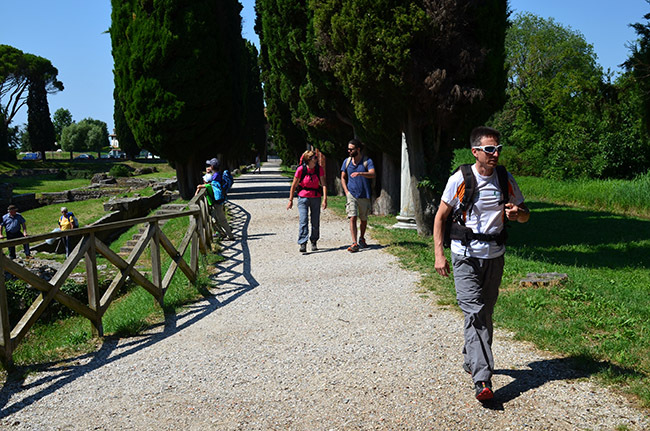 The Via Sacra starts right at the back of the Basilica. It is flanked by ancient cypress trees and runs along the ruins of the ancient port of Aquileia, once on the bank of the Natissa River. In the past the Natissa River flowed abundantly and was 8 miles long, arriving to the town of Gradus (now Grado), ending its flow into the Adriatic Sea at the gates of Monastero.